by Lindsey Smith–Members of Sigma Tau Delta, an English Honor Society on campus, met to discuss the annual common read book, Tess Taylor’s Work and Days with a general consensus: this is good poetry. Students had a mixed reaction to the book as a whole but most agreed, it’s lyrically and visually stunning to read. 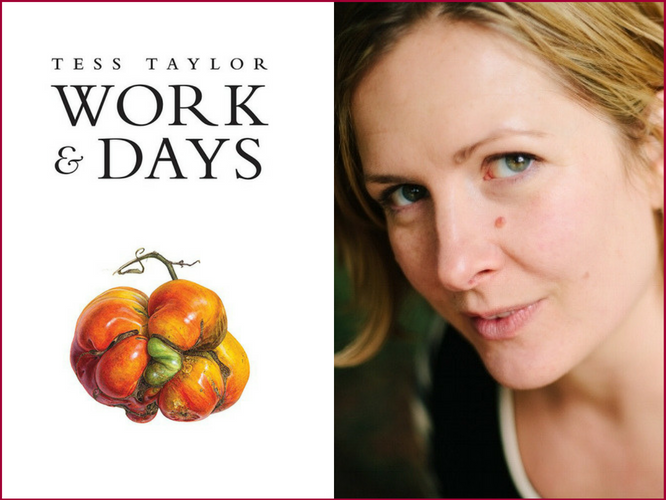 Work and Days, published in 2016, is a collection of poetry that celebrates the beauty and simplicity of nature against a backdrop of social problems. As it was mentioned during the common read discussion by Professors Leslie Werden and Christina Triezenberg, the final portion of the book may even address some of Taylor’s struggle with conceiving a child. Every year, Sigma Tau Delta chooses a book for all of its chapters to read and discuss. In the past, the books have dealt with a range of issues from immigration to racial issues to poetry. The idea behind this project is to spark a discussion and expose readers to literature they might not pick normally. Sigma Tau Delta, while a small group on Morningside’s campus, is actively working to bring students to the annual Sigma Tau Delta conference in St. Louis Missouri. They are currently raising money through soup and chocolate sales. The next soup and chocolate sale will be February 20th from 11-1 in the Lewis Hall lobby. They are also hosting a movie night on February 15th at 9:15 pm in U.P.S. auditorium, featuring the film His Girl Friday.